Earlier this month, we presented and recorded a webinar to expand upon our mini e-book that we wrote together with our partner Alliancesphere, Own Your Transformation: A Five-Point Agenda for Creating Your Organization’s Collaborative Leadership System. The key message of the presentation is to urge alliance professionals to take charge of closing the gap between the happy talk about the importance of partnering and the actual ability of organizations to collaborate and partner well in a digital world. Yes, this is our soap box and it has been for many years. The difference today is all the data reporting C-Suite executives really do believe partnering is important and a core pillar of their growth and transformation strategies. They also think their organizations collaborate and partner effectively. Their employees disagree. Take a look at some data from a recent Capgemini study. We’ve witnessed this gap in our work for years and years. For example, in a recent project assessing the current state of an alliance management practice and charting a course for its future, a senior executive told us how important alliances were to the future of the business. We then interviewed one of his senior people ostensibly responsible for an important partner. He told us he’d had only a one-hour call to familiarize himself with the role of an alliance director. No surprise, he didn’t think this was sufficient to allow him to be successful in the role. This may be an extreme case, but it illustrates the gap that exists between the belief that alliances and partnering are critical for growth and the failure to recognize that a system of collaborative leadership must become part of the organization’s culture and operating norms. It is an Achille’s heel of business transformation. Here’s another example: A company that is remaking themselves to focus strictly on downstream go-to-market activities has outsourced all upstream research and development capabilities except project management to oversee the outsourced service providers. Outsourcing a capability is not about managing a series of projects. It is engaging with third parties to build collaborative relationships that leverage the resources of each party for mutual benefit—to achieve a synergistic relationship where 1+1>3. In other words, the reason for—the essence of— partnership. During the webinar, we discussed our five-point agenda for creating a collaborative leadership system that starts with owning your own transformation. You can’t expect to drive change in your organization without demonstrating how you’re changing. Every alliance professional has something in their job description and potentially in their goals and accountabilities, to “create an environment for collaboration with alliance partners,” or something similar. Specifically executing on this piece of the job has always taken a back seat to immediate revenue generation or ensuring a co-development project happens smoothly. No longer. Today—when partnering everywhere in an organization is the recipe for growth—creating that environment becomes an essential part of the job. The collaborative leadership system—the mechanism through which leadership is exercised—is what enables it. 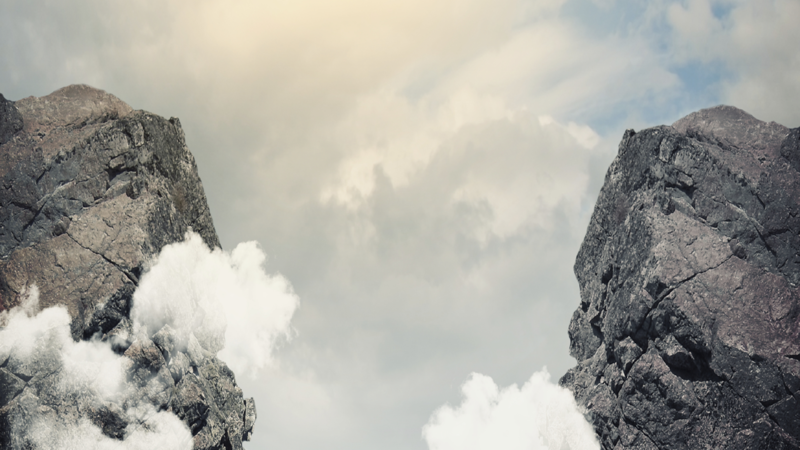 Closing the gap between the partnering and collaboration capability CEOs think their companies have and what they actually have is essential to the digital business transformation powering growth for legacy companies and a core capability for entrepreneurial ventures. Alliance professionals are typically part of the powerful middle of the organization—the Rosetta Stone of the organization—translating senior leadership directives into operational objectives and understanding from the field and other customer-facing personnel the successes and challenges at an execution level, scaling or adjusting accordingly. Who other than alliance professionals should be leading the charge to close the gap between what CEOs think about their organization’s ability to collaborate and the reality?